Our country seems to be in the grip of a dog-bite epidemic. Current statistics are approximately 4.7 million bites per year, with about 1 million of those bites requiring medical care. 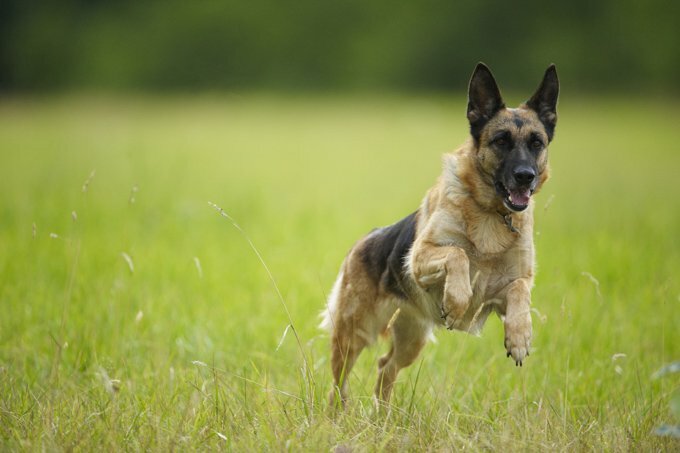 One to two dozen people each year in the United States will lose their lives to a dog attack. These numbers may actually be underestimated, since the cause of death may be listed as bacterial infection if the victim dies days or weeks after the initial incident. The financial cost cost of this epidemic is very high, estimated to be over one billion dollars per year. In 2005, the last year for which figures have been published, over $317 million dollars were paid in insurance claims for dog bites, accounting for approximately one-third of all homeowner’s liability claims. In response to this overwhelming problem, many localities have attempted to put restrictions on certain breeds of dogs. Some insurance companies now deny coverage to homeowners who own breeds that are “blacklisted.” In each study that references the breed of dog involved in fatal attacks, Pit Bull Terriers are cited more than any other, followed closely by Rottweilers and German Shepherds. These studies claim that Pit Bull Terriers are responsible for over 1/3 of the attacks on record in the last twenty years but the studies don’t take into account the fact that Pit Bulls are an extremely popular breed and the truth is when you have more Pit Bulls than any other breed, it makes sense that they would have a higher volume of incidents. Are some breeds of dogs truly more dangerous than others? Certain types of dogs were selectively bred for tasks that require aggressive behaviors. Pit Bulls and other game dogs were developed for fight drive and high prey drive, which allowed them to excel in blood sports, where they were encouraged to kill other animals. But they were also bred to be loyal companions to their people. Other types of dogs–dogs not bred for aggressive behaviors, such as Golden Retrievers and even a Pomeranian–have also been involved in fatal attacks. The most extensive study to catalog breeds of dogs involved in attacks was done by the American Veterinary Task Force on Canine Aggression and Humane-Canine Interactions, published in June 2001. Some analysts have stated that this study indicated that dogs that were consistently high on the list correlated to the breeds of larger dogs which were more popular at that time. In the 1970s, Dobermans were very popular, hence a higher number of attacks by Dobermans during the 70s. Pit Bulls started rising in popularity in the 1980s, which is when their numbers began to rise, and Rottweiler numbers rose for the same reason in the 1990s. Since there are no studies available comparing the number of non-fatal bites by breed, it is hard to know if smaller dogs, who are less likely to be capable of administering a fatal bite, showed a similar correlation during the decades of their greatest popularity. The American Animal Hospital Association (AAHA) states in an article on their website entitled “Are Certain Breeds of Dogs More Aggressive Than Others?” that the above-cited study did not prove that certain breeds of dogs are more dangerous than others, but simply proved what veterinarians have long believed for years: that nearly any dog can be aggressive, or non-aggressive, based on his early training, socialization and environment. Keep your pet on a leash or safely confined at all times. Unrestrained dogs are involved in approximately 82 percent of all fatal attacks. Having control of your pet on a secure leash is fundamental to preventing dog bites. Keep in mind that when in an unfamiliar environment, a stranger may startle your dog, so discourage unnecessary interactions with people you do not know and trust. If your dog is going to be left alone outdoors, this should be done only in a very secure fenced area. For most dogs, this means a a yard with a six- or eight-foot-high wooden or chain-link fence, which has been secured at the bottom so that the dog cannot dig out. Socialize puppies in a safe, non-threatening environment, making sure they have positive experiences interacting with other people and animals. Spay or neuter your pet. Males who are intact (not neutered) are more likely to be involved in fatal attacks; 80 percent of recorded attacks are by intact males. Teach your pet bite inhibition. Pups will mouth and chew on not just your furniture, but also your hands and clothing, until they have been taught that this behavior is unacceptable. Usually this can be stopped by distracting the dog with a quick sound (like a sharp “ow, ouch!”) and redirecting the dog to an appropriate behavior, such as playing with a chew toy. If puppy mouthing persists, work with a professional trainer experienced in solving this issue. Make sure your dog grows up knowing that it is never appropriate to put his mouth on people, in any context. Supervise your dog, and watch for any signs of aggressive behavior. Watch your dog closely for any sign that he could be a danger to others. Certain behaviors, such as territorial aggression, can never be solved if a dog is left outdoors alone. In this case, responsible management requires that the dog not be allowed to “control territory” but be kept safely indoors and exercised on-leash, while being trained to look to his owner as the individual who will protect the territory. Just as important is properly exercising your dog. Pent-up energy definitely contributes to frustration aggression, and other inappropriate behaviors related to lack of impulse control. If you have bought or adopted a dog with a high energy level and you cannot physically exercise the dog yourself, hire an experienced dog walker or a dog trainer who will agree to exercise the dog for you each day. Be sure that your dog is walked with a collar and leash that is tailored to your personal dog. For example, dogs with pulling issues will be much more under control when walked with a head-halter, such as a Gentle Leader. Certain types of dogs are best exercised in a large fenced area, with an adult playing fetch with them, if they are too strong for their owners to control on leash. If you are choosing a dog as companion for a family with children then you can up your chances of success if you choose a breed of dog known for tolerance, and one which was not developed for high working and prey drives. You may also wish to consider adopting a rescued mixed breed dog that has been fostered by experienced foster parents who happen to have children. Most importantly, be responsible with your dog, training and managing it throughout the dog’s lifetime in a manner that will decrease the likelihood that it will ever bite anyone…because, at the end of the day, the “breed” that is most dangerous to everyone is the one on the other end of the leash – the irresponsible dog owner. Visit our dog breed center for in-depth profiles of over 150 dog breeds.